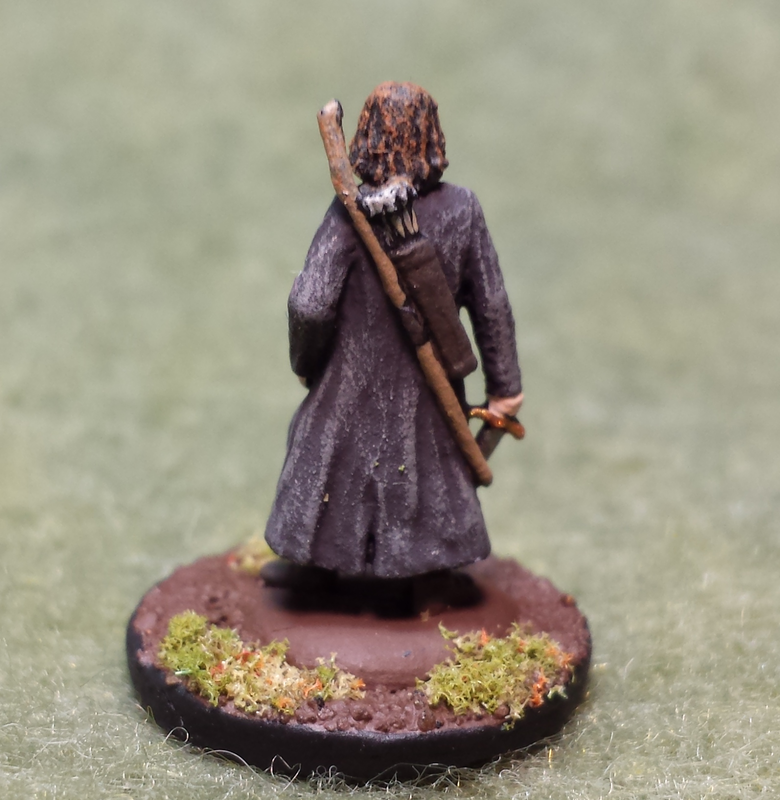 So I have taken the plunge and started switching my fantasy RPG minis over to 15mm, just like my sci-fi RPG minis. To kick off my first 15mm fantasy figure I picked one of my favourite sculpts from Khurasan Miniatures: their Ranger. He is clearly modelled after the true king of Gondor; Aragorn, as portrayed in the films. 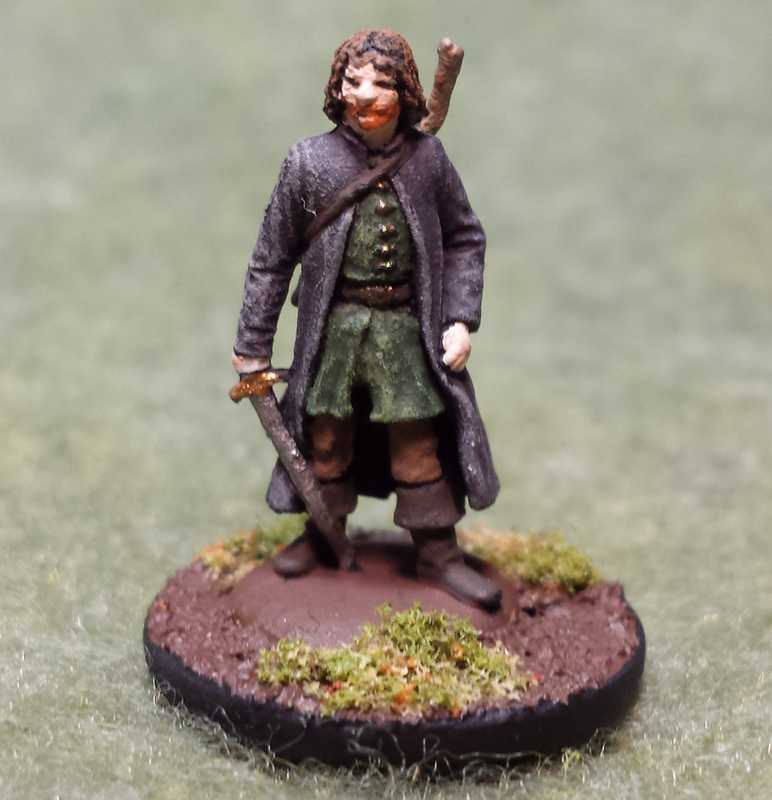 His rugged jacket, bow and sword are very reminiscent of the Strider you first meet in the Fellowship of the Ring. 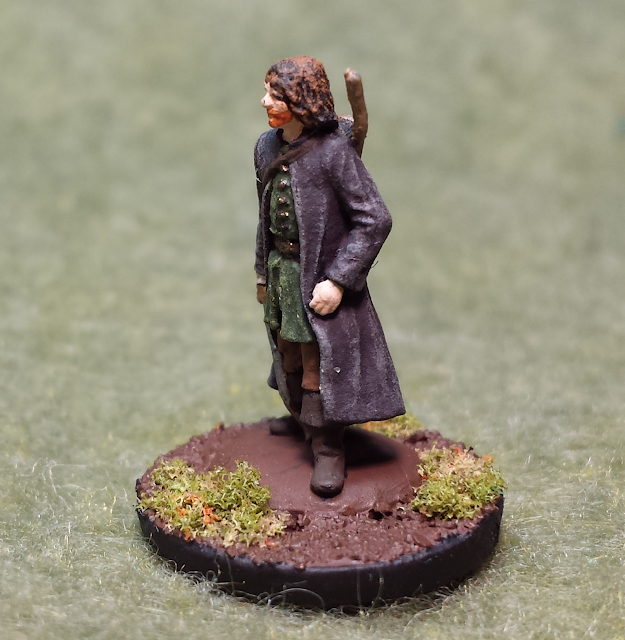 He is currently being used as a ranger in Dave's The Tides of Ragnarök Campaign ( I am still looking for an appropriate mini), but I am sure he will turn up in many games to come.